Extrovert, charismatic, extravagant, and above all, revolutionary to the core, it's no accident that this eastern city was bestowed with the title Ciudad Héroe (Heroic City). Despite being noticeably shabbier than other Cuban cities, resilient Santiagueros wear broad smiles and eagerly join the conga at the annual Carnival – Cuba’s biggest. 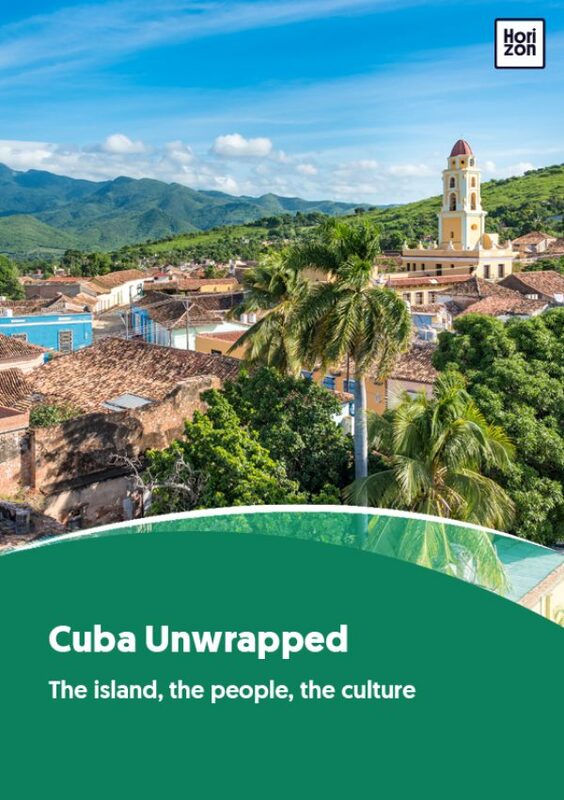 This is the city that gave Cuba many of its most famous musicians including Buena Vista Social Club members Eliades Ochoa, Compay Segundo and Ibrahim Ferrer. Santiago was the cradle of the Cuban Revolution; the starting point for Fidel’s audacious, scarcely believable campaign against dictator Fulgencio Batista. Many of the icons of the revolution are found in the city. The Moncada Barracks is an imposing art deco building which went down in national legend as the site of Fidel’s first attack on the Batista regime. The building houses one of Cuba's most insightful museums on the history of the revolution. The UNESCO-listed San Pedro de La Roca del Morro fortress sits at the entrance of Santiago’s harbour, some 10km southwest of the city centre. Guarding this once prosperous city against the threat of pirates, the magnificent structure couldn't be in a more idyllic setting overlooking the bay. The fort houses the Museo de Piratería (Pirate museum) along with exhibits on the Spanish–American naval battle that took place here in 1898. There is a daily cannon firing ceremony at sunset, complete with costumed actors. Plaza de Marte marks the entrance to Santiago's pretty and historic city centre, perhaps not as visually striking or colourful as Havana's but with plenty to capture your imagination. It’s hard to imagine that this lovely square was once the site of public executions of local rebels by Spanish troops. The park now hosts Santiago’s esquina caliente (hot corner) where heated baseball discussions take place as fans of the local team discuss tactics against arch-enemy, Havana’s Industriales. Parque Céspedes is a great spot from which to observe the comings and goings of the Santiagueros and people-watch as they go about their daily lives, flirting, chatting, wolf-whistling and guitar-strumming. The park is flanked by most of Santiago’s historic buildings including Catedral de Nuestra Señora de la Asunción, a magnificent structure and Santiago's most important church, built in 1922. Casa de La Trova “Bartolomé Masó” is a living shrine to the city’s fine music traditions. Live acts usually get started in the afternoon and continue into the night. The surrounding area is famous for its music joints. Santiago inevitably has a Plaza de la Revolución of its own, this one dedicated to local hero Antonio Maceo, dubbed Titán de Bronce (Bronze titan) for the many gunshot wounds he suffered fighting the Spanish. His gigantic statue towers over the square surrounded by 23 raised machetes. Also outside the city centre is the cemetery Santa Ifigenia, the final resting place of the country’s two national heroes: José Martí and Fidel Castro himself. Also here are the tombs of Antonio Maceo, Emilio Bacardí, Compay Segundo and a long list of heroes from the wars of independence. Walk around the French quarter of Tivolí with its centuries-old steps on Padre Pico street, the unofficial gateway to the 18th century neighbourhood. Cuba’s second city doesn’t enjoy playing second fiddle to Havana, especially since it was the country’s first capital city. A relatively short distance from Haiti and Jamaica, Santiago is Cuba's most Caribbean city and is home to many Caribbean immigrants that settled here over the years. Santiago is the birthplace of Cuban rum, including world-famous Bacardi. Ron Santiago, Ron Varadero and Ron Caney are all made at Bacardí's former distillery. No factory tours are available but an adjacent bar offers tastings. The rivalry between Havana and Santiago is very real, best exemplified with the fierce competition between the two cities’ baseball teams – Santiago’s Orientales and Havana’s Industriales. British novelist Graham Greene once found inspiration for his writings on the terrace bar of Hotel Casa Granda. Despite ending in failure, the attack on Moncada Barracks on 26 July 1953 is celebrated as a pivotal moment in the history of the Cuban revolution. Outnumbered 10 to one, more than 60 rebels died (along with 19 government soldiers) and Fidel was captured and put on trial. True to form, he used the trial as a platform to deliver one of his greatest speeches, titled La historia me absolverá (History will absolve me). And, for most Cubans at least, he was proved right. Santiago is one of the hottest places in Cuba so dress as lightly as you can, apply sunscreen often and never be without bottled water. Santiagueros are immensely proud of their city and history, and don't get them started on stuffy, snooty habaneros. They'll show you how they can be more fun, carefree and less prejudiced than their western counterparts. That said, this audacious personality has a flip side and visitors are known to fall prey to scams – be careful where you exchange money and keep an eye on your pockets and valuables.